Being an Oakland Athletics fan, l looked forward to the 2010 season as a chance to see a young, rebuilding team have a decent transition season before emerging into a perennial winning club like the "Swingin' A's" dynasty of the early '70's, the "Bash Brothers" teams of the late '80's, and the "Moneyball" club of the early 2000's. The franchise had, what appeared to be, the makings of a strong young core with Kurt Suzuki at catcher, Ryan Sweeney in right field, Daric Barton at first base, along with Brett Anderson, Trevor Cahill, and Gio Gonzalez in the rotation and closer Andrew Bailey in the bullpen. In the minors, outfielder Michael Taylor and first baseman/outfielder Chris Carter looked as if they would be ready to join the big club before season's end. However, one player that I did not expect to leave such a memorable impression on me during the 2010 season was outfielder Matt Carson. 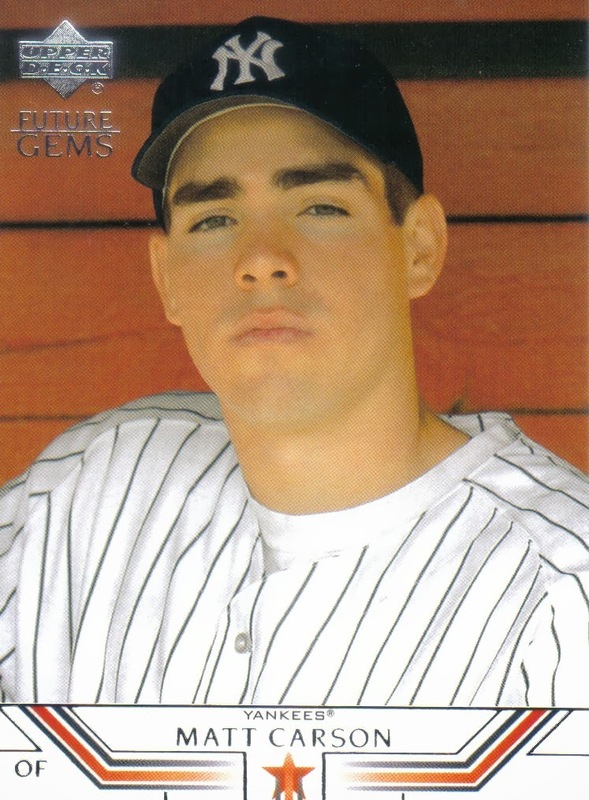 Originally selected in the 5th round of the 2002 draft by the New York Yankees, Carson made it as high as Triple A in the Bombers system before signing with Oakland as a minor league free agent prior to the 2009 season. Carson made his major league debut for the Athletics in September of that year and hit .286 with one home run in 22 plate appearances. Not having watched much of the '09 Athletics, the first time I saw Carson was early in the 2010 season during an April 22 day game in which Oakland hosted the defending World Champion Yankees. Less than a month before, I had watched a Spring Training game and seen power-hitting prospects Michael Taylor and Chris Carter trade high-fives at the end of the game. Listed at 6'5" and 6'4", respectively, I couldn't help but dream that Taylor and Carter would bring much needed power to the Athletics' line up and be the second coming of the "Bash Brothers", Jose Canseco and Mark McGwire, and lead Oakland for the next six or so years until free agency, predictably, sent them to richer pastures. So, when I saw Carson had been promoted to Oakland from the Triple A Sacramento River Cats, I was understandably disappointed that it wasn't Taylor or Carter. Now, it is true that the promoting of a particular player has a lot to do with how many options the player has left or how far along they are in their development. Still, I was not at all excited to see a 28-year old journeyman who I felt had zero potential of sticking in the majors and helping the team. In addition, the club chose to promote Carson, while keeping outfielder Jack Cust in the minors. Cust had been the team's top home run hitter each of the last three seasons, yet seemed to have inexplicably drawn the ire of general manager Billy Beane who designated him for assignment at the end of Spring Training and, after the slugger cleared waivers, sent him down to Sacramento. Hitting out of the eight-hole and playing left field, Carson went 0 for 3 and did nothing particularly of note. However, the game itself was memorable for Kurt Suzuki grounding into a 5-4-3 triple play and fiery pitcher Dallas Braden screaming at Yankee baserunner Alex Rodriguez after "A-Rod" ran across the mound on his way back to first from third on a Robinson Cano foul ball. The A's won the game 4-2. At the end of April, Carson was demoted back to Sacramento without appearing in another game. On June 8, Oakland recalled Carson. Once again, I was disappointed to see Carson promoted in favor of Taylor and Carter. Yet, that would all change on June 9 when Carson earned the start against the Los Angeles Angels. One of things that made Carson an attractive temporary call up was his ability to play all three outfield positions and, on this particular night, he got the call to play center. With the Athletics down 5-0 in the top of the 8th, Angels hitter Juan Rivera smashed a Cedrick Bowers pitch deep to left center. Carson thought he had a good read on the ball and took off full speed with the intention of scaling the wall to rob Rivera of a home run. Unfortunately, Carson misjudged his leap and jumped face first into Oakland's left-center field wall as Rivera's drive cleared the fence (click here for mlb.com clip of the play). Carson's face plant into the wall could have been used as the Wide World of Sports' "agony of defeat" or could caption one of those "epic fail" emails. Carson's nose and chin immediately turned red and he started stretching his jaw. Despite the hard hit, Carson, not only stayed in the game but even led off the next inning. With one doomed, all out effort, Carson had changed my view of him. No longer was he a waste of a roster spot--instead I now viewed him as a hard working 28-year old journeyman doing everything in his power to keep his major league dream alive. Three days later, Carson returned to Oakland's line up and took former Cy Young Award winner Barry Zito deep for career home run number two in a losing effort against the San Francisco Giants. All of this did not keep Carson from being sent back down to Sacramento a few days later. When he was recalled in early July, I noticed something else about Carson: during his 2009 22 plate appearance cup of coffee, he drew zero walks but had a sacrifice fly so he dubiously finished the season with a higher batting average than on base percentage. In addition, Carson had yet to take a walk in 2010 and after hitting sac flys on July 24 and August 29, his career OBP fell even further behind his batting average. All of this was odd since, looking at Carson's minor league totals, he drew walks on a regular basis and his OBP was generally about sixty points higher than his batting average. Finally, on September 3, Carson drew his first career base on balls against Angels pitcher Scott Kazmir in his seventy-third career plate appearance. Carson appeared to be "swinging for the fences" in most of his at bats, likely in an effort to be the power hitter that Oakland's line up lacked. Unfortunately, Carson's seeming focus on power came at the expense of his patience at the plate. Carson did hit 3 homers in September to finish the 2010 season with 4 but the Athletics failed to make a run at the AL West crown and finished the season a distant 2nd, 9 games behind the Texas Rangers with an 81-81 record. Carson ended the season with a .177 batting average and .193 OBP in 83 plate appearances. 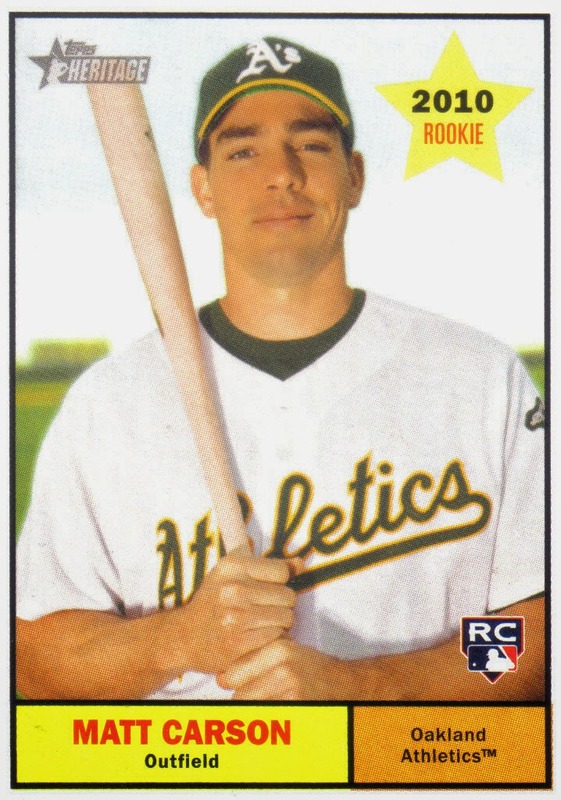 Third baseman Kevin Kouzmanoff led Oakland with 16 home runs but Carson actually averaged the most home runs per plate appearance with one long ball per 20.75 plate appearances. The punchless Athletics finished 11th out 14 AL teams in runs scored. Neither Taylor nor Carter played strong enough in 2010 to permanently break into Oakland's line up. Taylor suffered a power drop at Sacramento and hit just 6 home runs and was kept in the minors all season while Carter earned call ups in August and September but struggled mightily, failing to get a hit in his first 33 at bats before finishing the campaign with 3 home runs, a .186 batting average, and .256 OBP in 78 plate appearances. The following season, Carson failed to make the club out of Spring Training and was sent back down to Sacramento. Despite playing well for the River Cats, Carson was not called up by Oakland and, on August 1, was sold to the Tampa Bay Rays. With his ability to play all three outfield positions and blue collar work ethic, Carson seemed like the kind of player that would mesh well with Rays manager Joe Maddon. However, the Rays optioned Carson to the Durham Bulls, their Triple A affiliate. Tampa Bay never called up Carson and it would be a different former Athletic, Dan Johnson, that would be the unlikely hero on the last day of the season, delivering a two out, two strike game-tying pinch home run that set the stage for Evan Longoria's 12th inning home run which clinched the Wild Card for the Rays. After not earning a late season call up by the Rays, I figured I might have seen the last of Carson. However, Carson was not ready to abandon his journeyman baseball career and signed with the Minnesota Twins for 2012. The Twins optioned Carson to the Rochester Red Wings, their Triple A affiliate. Carson played well enough to earn two call ups in August and stayed with the team for the remainder of the season when the roster expanded in September. Carson hit .227 with a .246 OBP in 69 plate appearances for Minnesota. For 2013, Carson signed as a free agent with the Cleveland Indians. Carson had an eventful Spring Training, hitting five homers, taking a pitch off the helmet, and slamming into the center field wall while making a catch. Carson's fearless playing style impressed teammates who endearingly called him "Crash." Yet, when the season started, Carson found himself in the all too familiar confines of a Triple A clubhouse, this time at the Tribe's top minor league affiliate, the Columbus Clippers. 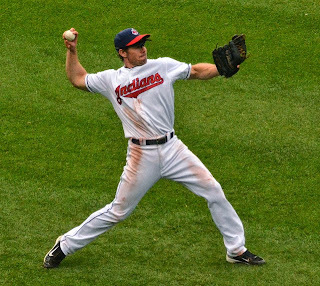 Carson played well for Columbus and earned the call to Cleveland on August 28 to replace the injured Ryan Raburn. Indians manager Terry Francona generally used Carson as a late defensive replacement or as a pinch hitter or pinch runner. On September 15, Carson was tapped to start in right against the Chicago White Sox. Batting 8th, Carson put the Tribe up 1-0 with a 2-out RBI single in the top of the 2nd off Chris Sale. In the top of the 5th, Carson made it 2-0 with a solo home run off Sale. Carson singled off Sale in the 6th and even stole second base in the 8th after being hit by a Ramon Troncoso pitch. The game ended up being his only start of the year but Carson made the most of it with his two RBI in Cleveland's 7-1 victory. Unlike Carson's time with Oakland and Minnesota, Cleveland was in the thick of a race with Tampa Bay and Texas for the two Wild Card spots and the win drew them within a half game of both teams. 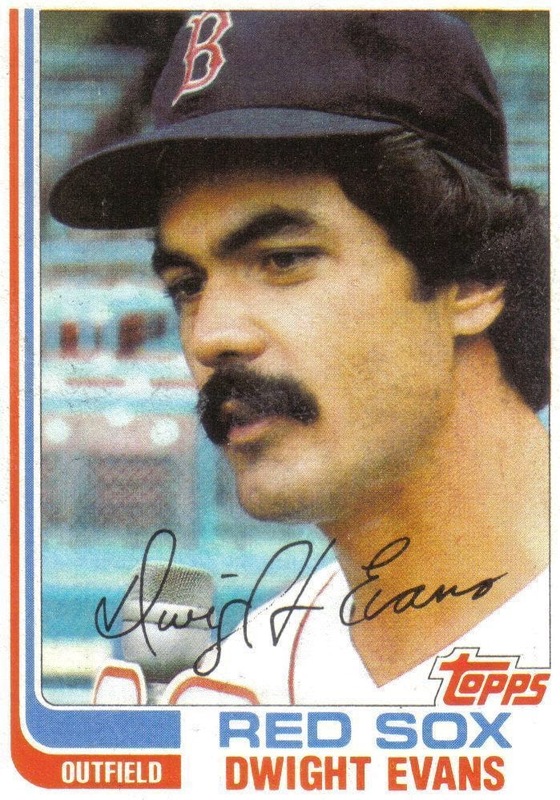 On September 19, with the Tribe tied 1-1 in the top of the 10th against the Houston Astros, Carson entered the game as a defensive replacement in right after Jason Giambi pinch hit for Drew Stubbs. A veteran of 1,250 minor league games and 83 major league games, the 32-year old Carson stepped to the plate with the bases loaded and two outs in the bottom of the 11th. Up until that point, Carson's career was most memorable for his collision with Oakland's outfield wall. However, all that changed when "Crash" singled Rhiner Cruz's 0-1 pitch to right to score Yan Gomes (click here for mlb.com clip of the hit). Carson's walk off RBI-single was the first of the Tribe's ten straight victories to close out the season. With the winning streak, Cleveland was able to catch and pass both Tampa Bay and Texas to clinch home field advantage for the Wild Card game. Carson finished the season with an excellent .636 batting average and .692 OBP along with 1 home run and 3 very important RBI in his 13 plate appearances. Carson's impressive performance earned him a spot on Cleveland's roster for the Wild Card game. Unfortunately, the Indians fell to the Rays in the one game playoff and Carson was not used in the game. As for Oakland's power-hitting prospects, Michael Taylor and Chris Carter, neither became the offensive force that would lead Oakland back to the postseason. Taylor remains on Oakland's active roster, but with a .135 batting average, .210 OBP, and just 1 home and 1 RBI in 81 plate appearances over parts of three seasons, he has yet to make a meaningful impact at the major league level. After struggling during his 2010 and 2011 call ups, Carter finally cracked Oakland's regular starting line up as a first baseman halfway through 2012. With 16 home runs in 260 plate appearances, Carter's power was on full display. However, the slugger also struck out 83 times and was benched in favor of Brandon Moss during the ALDS. During the offseason, Oakland traded Carter to the Astros in a 5-player deal involving Jed Lowrie. With Houston, Carter hit 29 homers but batted just .223 and whiffed an MLB-leading 212 times. Baseball, like life, has its highs and lows. For Carson, slamming into the Oakland Coliseum wall was his "agony of defeat" moment, but it also won him several fans--including myself--who respected the way he gave his all on the play. Certainly his body and ego were bruised from the collision but Carson stayed in the game, grabbed a bat and led off the following inning. In his next game Carson homered off a former Cy Young winner. Carson spent the majority of the next three years in minor league clubhouses but despite being a 32-year old journeyman, he didn't give up on making another major league roster and his hard work paid off with a late season call up by the Indians. Carson made the most of his time with the Tribe, playing the best baseball of his brief major league career. With his game-winning hit off Rhiner Cruz, Carson was mobbed by his Cleveland teammates, who would go onto to clinch the top AL Wild Card. Finally, after countless bus rides to minor league cities and several years spent up and down the organizational chart of different franchises, Carson had his "thrill of victory" moment.